Crowdcube opened and closed its own bid to raise £1.2 million after taking just 16 minutes to hit its target. This was 12 times faster than the previous record for the fastest crowdfunded pitch and set a world record for the fastest equity crowdfunding raise. The crowdfund, hosted on Crowdcube’s own website, followed the announcement last week of £3.8 million of investment from venture capital firm Balderton Capital. 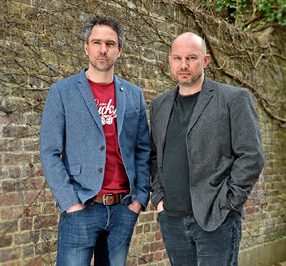 141 investors backed Crowdcube’s Series B round of crowdfunding. The average amount invested was more than £8,500. Darren Westlake, CEO and co-founder comments, “We’re delighted to have given everyday investors the opportunity to invest in our fast growing business. This record-breaking fundraise from our crowd of registered investors at the same time as backing by an established VC firm is a huge thumbs up for our business, team and the growth path that we outlined. As announced last week, Crowdcube will use the £5 million total investment to further expand its operations in the UK and internationally. The firm is planning to double its team to 50 staff, expanding its head office in Exeter and opening new offices in London and Scotland. It is also expanding internationally beyond the seven joint ventures that it has already established. Named the UK’s Most Active Seed Investor 2013 by Beauhurst’s Annual Equity Investment Review, Crowdcube has raised over £32 million for more than 130 start-up, early stage and growth businesses, creating an estimated 3,000 new jobs over the next three years. The previous record for the fastest equity crowdfund was Crowdfunder, the UK’s number one rewards-based crowdfunding platform, raising £0.5 million in three hours. Crowdcube was the first crowdfunding company to sign up an international partner and now has a presence in seven countries: Brazil, Sweden, Dubai, Poland, Italy, Spain and New Zealand.